Choose from 229 hotels and guest houses in Cumbria. Shown below a just a selection of the hotels available. To search within an area please use the menu on the right. Set in the heart of the Lake District National Park, in the picturesque Langdale Valley, the New Dungeon Ghyll Hotel is set in 6 acres of mature gardens and pasture. Numerous lakes nearby enable water sports including water skiing, swimming and boat hire. Other local activities range from golf, to horse riding and shopping in nearby Ambleside and Windermere. The views are breathtaking across Lakeland and the Langdale Pikes, providing a stunning setting for those wishing to hike and walk. All rooms are individually and comfortably furnished, with dramatic views across the valley. Some rooms include a flat-screen TV. New Dungeon Ghyll's restaurant overlooks the patio and to the lawn with the Lakeland fells beyond. Before dining, guests may relax over a drink in the Walker's Bar. 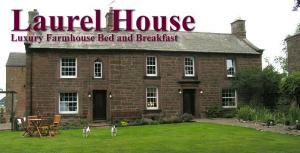 Laurel House is a delightful 18th-century farmhouse in the quiet Cumbrian village of Culgaith, near Penrith. 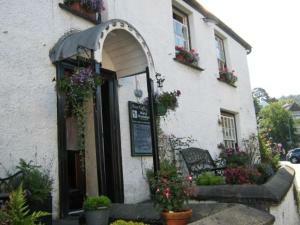 It is a Visit Britain 4-Star Gold-rated B&B with well-appointed rooms. Laurel House is 10 minutes from junction 40 of the M6 and ideally situated for exploring the Lake District, or as a stopover on the way to Scotland. An excellent breakfast featuring locally sourced produce with homemade bread and preserves will ensure a good start to the day. Situated in the small market town of Keswick in the heart of England's Lake District, this award winning hotel and restaurant offers magnificent Lakeside views and highly acclaimed cuisine. Highfield Hotel & Restaurant offers you good facilities in a magnificent setting, where you can enjoy all that the magnificent Lake District has to offer. The restaurant has 2 AA rosette awards and is widely acclaimed in major culinary guides for its expertise. Here you can enjoy fine dining in a relaxed atmosphere, where the menu changes daily and the food is imaginatively prepared using the best local produce. The hotel is set amongst other hotels and residential properties, and offers some magnificent lake and mountain views. For your convenience, the hotel is non-smoking throughout and has its own private car park. 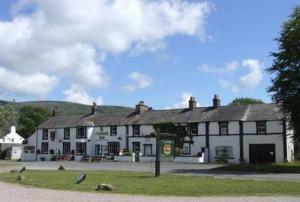 It is just a few minutes walk from the town centre and is within reach of Derwent Water. 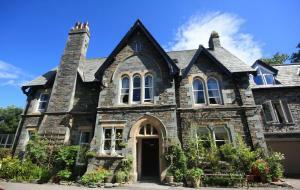 Set in picturesque, landscaped gardens, this regency country house hotel is found in the heart of the Lake District. Located just a quarter mile from Lake Windermere and a short walk from the centre of Ambleside, the hotel is ideally situated for walking, cycling, sightseeing or just relaxing. This regency country house hotel was built in 1825 as a summer residence for a Liverpool cotton merchant. The building is grade II listed and retains many period features. Fresh flowers and antiques give the feel of a welcoming private house, where lounges are ideal for relaxing over afternoon tea or pre-dinner drinks. Rothay Manor is renowned for its warm, comfortable, relaxed and friendly atmosphere, complemented by excellent food and wine. Guests have free use of a nearby leisure club. Families and disabled guests are welcome. This 3-star rated, Lakeland-stone, Victorian house is set in a quiet side street, approximately 5 minutes' walk from the train/bus station. Jo and Alan offer quality accommodation and excellent value for money. They are very happy to advise you on any walks and have maps to assist you. They can also book you on to tours and make dinner reservations for you at one of the many excellent restaurants in the surrounding area, or beyond. The house is situated opposite Ellerthwaite Park and is a gentle 20-minute walk from Lake Windermere itself. In the heart of the Lake District, amid dramatic fells and picturesque valleys, you will find The Ambleside Salutation. Enjoying a village centre location and boasting breathtaking views, this 17th century hotel has welcomed visitors since 1600. The Garden Room is open for lunch and evening meals, with a wide selection of dishes available. Our on-site leisure club is exclusive to hotel guests. Nestled at the foot of Shepherd's Crag, in the beautiful valley of Borrowdale, this hotel's charming and unique atmosphere enveloping guests from the moment they arrive. Surrounded by the stunning natural beauty of the Lake District, this charming and historic hotel is a great base for a relaxing break in the region. In winter, the warm, welcoming fires will soothe your cares away and in the summer, you can enjoy cool drinks and strawberry teas on the lawns, with the breathtaking scenery of the Lake District as a magnificent backdrop. Built in 1866, the hotel has an interesting history and still retains many charming original features. Artefacts from the hotel's history adorn the walls, including old prints, Victorian coffee grinders, silver salvers, plate warmers and brass bedpans - not forgetting the original 41 room bells, which, although no longer working, are still proudly displayed outside the reception area. The Waverley Hotel, Workington, offers quality, exceptional value accommodation with a wide variety of room styles. The Waverley Hotel is situated in the historic coastal town of Workington, Cumbria. The Waverley Hotel is within easy walking distance of bus and rail terminals, local shops, theatres, parks, Workington speedway, rugby league and rugby union, Workington Reds football stadiums as well as other Workington central amenities. Nearby attractions include a variety of craft outlets and artisans producing beautiful gifts and momentos to remind you of your stay. We have 25 en suite bedrooms, 4 standard rooms and a selection of individually designed executive suites giving a maximum occupancy of 50 guests. All bedrooms contain the usual modern amenities with tea/coffee making facilities, colour tv, hair dryer, direct dial telephones, broadband internet access, luxury toiletries, tourist information, notepads etc. a separate ironing room is available, however executive suites include an ironing station, fresh flowers and complimentary welcome pack (wine, fresh fruit, still water and chocolates). Unfortunately the hotel does not have a lift. This 150 year old former country residence is set in gardens dominated by a giant 200 year old cedar tree, and is 10 minute's walk from Windermere village and lake. Located adjacent to the A591 next to St Mary's Church, Cedar Manor is a distinctive period property with many fine features. 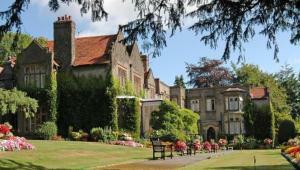 The hotel offers wonderful accommodation and has been awarded 2-star Hotel status by the AA, with a quality score of 80%. The hotel lounge and bar has comfortable sofas and armchairs for you to relax in, have a drink and enjoy the views of the garden. The Cedar Manor Restaurant has just been awarded a coveted AA Rosette for dining and offers a seasonal ? la carte and table d'h?te menus, and is open to hotel guests as well as non-residents. Strands Hotel/Inn was built in the eighteen hundreds. The building is nestling in the heart of Wasdale Valley, which has beautiful views of the surrounding fells. It is situated only a short walk from the Deepest Lake (Wastwater) in England, also the Highest Mountain (Scawfell) and the Smallest Church which is at Wasdale Head. 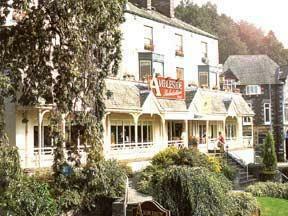 Mark, Lesley and family have run this typical Lakeland Hotel since June 2006. Mark brews his own ales, our home cooked traditional food is very popular with visitors and locals. Delightfully situated and enjoying distant views of the Solway Firth. A large garden to relax in. This charming hotel has comfortable rooms that are well-furnished. Some of the spacious rooms have been refurbished to a high standard. The open- plan bar and foyer lounge boast welcoming open fires, and the attractive restaurant is set into the woodland gardens. A relaxing retreat in the heart of the Lake District, this charming 16th century cottage is situated in the picturesque village of Bowness, one minute's walk from Lake Windermere. Just a short stroll away from Bowness's shops, caf?s, restaurants and attractions, Rose Cottage provides comfortable bed and breakfast accommodation. Please note that the cottage is bed and breakfast only, no additional meals can be provided. Still maintaining many of its original features, the house can be unsuitable for disabled guests or those who have trouble with stairs. Unfortunately no ground floor rooms are available. Parking is available at a nearby public car park. Permits are available from Rose Cottage. A refundable deposit of GBP 10 is required. This delightfully peaceful country house hotel is situated in the centre of a conservation village in the Eden Valley, an area of outstanding natural beauty between the Lake District and the Pennines. The Temple Sowerby Bypass opened in October 2007, returning the village to a true a quiet rural setting, yet less than 10 minutes from the M6. Elegant rooms, discreet service, AA 2 Rosette cuisine and personal attention are the hallmarks of the hotel's relaxed hospitality. The house dates from 1727 and has been sensitively restored to create just 12 comfortable and stylish bedrooms, all with contemporary bathrooms. Superior rooms include spa baths or hydro-massage showers. A new restaurant, constructed from local, mellow sandstone columns and picture windows, overlooks the peaceful walled garden. Whether your visit is for business or pleasure, one night or several, you can be assured of a relaxing stay. The hotel has been awarded 3 AA stars and 85% merit award. Nestling at the foot of Ullock Pike, just 4 miles north of Keswick, this relaxing retreat is set back from the main road, amid 5 acres of spectacular countryside. A converted 19th century stable, the lodge boasts excellent views towards Bassenthwaite Lake and the beautiful North Western Fells. It also enjoys easy access to many of the notable Skiddaw walks and especially the Allerdale Ramble. Retaining its Victorian character, with pitch pine ceilings and an open log fire in the comfortable residents' lounge, Ravenstone Lodge also provides a private terrace, a large walled garden and ample off-road parking. We are situated in the heart of Bowness-on-Windermere and offer good quality, non-smoking accommodation suitable for a variety of guests. A choice of 5 double en suite rooms is available, 2 having four-poster beds and 2 with views towards Lake Windermere and the distant fells. All the rooms are centrally heated with a variety of facilities, including en suite showers and the opportunity to make yourself a tea, coffee or Fair Trade hot chocolate before settling down in front of a colour television. Free car parking is available on-site. Overlooking Morecambe Bay and the hills beyond, this beautiful, family-run country house offers excellent cuisine and an impressive wine cellar, and is ideal for the Lake District, Cumbrian coast and Yorkshire Dales. 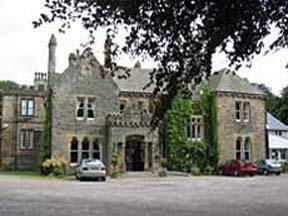 Graythwaite Manor Hotel won 3 awards, including 'Best Hotel', at Cumbria in Bloom 2009. It was a winner at the Cumbria Tourism Awards 2009, and has won 'Cumbria in Bloom' 5 times. Drive a few miles inland for Windermere or Coniston Water, and be on the way to some of the best scenery. Graythwaite has 8 acres of award-winning gardens and woodland, and elegant lounges with fresh flowers, antiques and log fires. Most of the bedrooms have views of the sea and gardens. In the pretty village of Hawkshead, surrounded by the breathtaking scenery of the English Lake District, this beautifully preserved Georgian house is rich in traditional charm and original character. In the heart of the village, the Ivy House is an impressive, Grade II listed Georgian building offering comfortable accommodation, great food and a good selection of wines. A log fire burns in the lounge on most evenings and free private parking is available for guests. There are 6 luxurious rooms in the main house, including 4 rooms with four-poster beds. All of the en suite rooms are attractively furnished, centrally heated and equipped with TVs and tea/coffee making facilities. The restaurant offers traditional regional specialities, made to order using fresh, local seasonal produce. There is outside seating. The Ivy House is family run and the owners take great pride in offering a warm welcome, comfortable surroundings and a friendly, informal and relaxing atmosphere. In quiet, peaceful wooded grounds, this family-run bed and breakfast has free parking, an indoor swimming pool, a sauna, a hot tub and a rooftop terrace with magnificent views of the fells. Close to Ambleside's town centre, The Old Vicarage has a quiet location with views over Rothay Park to the fells beyond. Full of charm and character, this spacious Victorian house has now been converted into an impressive 4-star bed and breakfast. The house offers beautifully furnished and decorated en suite rooms, all varying in size, style and views. There are newer, more modern rooms, as well as more traditional rooms. All rooms have mini-fridges, TVs, video recorders and DVD and CD players. Videos are available for guests' use, free of charge. There is a large lounge with an open fire, a piano and a small snooker table. Free Wi-Fi is available in the public rooms. A tasty full English breakfast is available each day. Kendal Central Premier Inn sits on the southeast edge of the Lake District, close to Kendal Rail Station and the Riverside Walk. This Premier Inn hotel by the Lake District has an on-site Table Table restaurant and rooms with comfy beds. Some rooms at Premier Inn can take 2 adults and up to 2 children (under 16 years). The 2 children also get a free full breakfast when accompanied by an adult eating a full breakfast. The full all-you-can-eat breakfast has the expected cooked items, including vegetarian sausages, as well as a wide continental selection. Peacefully situated in Windermere, overlooking Queens Park, this guest house is a short stroll from the amenities in the village and about 20 minutes' walk from the Lake and Bowness. Laurel Cottage is convenient for Windermere rail and bus station and is an ideal base from which to explore the Lake District. The guest house is set within a small Victorian house built of local stone in the 1890s. It has been modernised to offer up-to-date comforts, but has retained its original character. 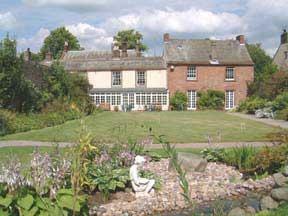 Laurel Cottage is run by the owners Alison and Wayne, who offer a warm and friendly welcome. In the heart of the English Lake District, this historic Norwegian log cabin is now a restaurant and bar with 3 comfortable en suite rooms, all with LCD flat-screen TVs, DVD players and free Wi-Fi. The stylish and contemporary restaurant offers a relaxed atmosphere in which to enjoy superb food, made with delicious, fresh seasonal produce from the region. There are 3 double rooms above the restaurant. Two still have the original log beams and the third has stunning views over the fells. Each has an en suite shower room, hairdryer, tea/coffee, and luxurious bathroom products from the White Company. 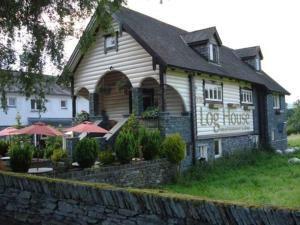 In the town of Ambleside, at the head of Windermere, the Log House was originally brought to the Lake District by local artist Alfred Heaton Cooper nearly 100 years ago. Cooper used the cabin as a home and studio, but today it is a 4-star restaurant with rooms. In picturesque Windermere, in a quiet area close to the lake and the town centre, this beautiful Victorian property offers free Wi-Fi, free parking and luxurious 5-star guest accommodation. Just off Windermere's Main Road, Wheatlands Lodge is within walking distance of the town's shops, rail station and restaurants. Close to the main attractions of Lake Windermere and the region's spectacular scenery, the lodge is a great base from which to explore England's Lake District. In delightful gardens, Wheatlands Lodge is a traditional family-owned and run Lake District residence, dating from around 1860. Fully refurbished in 2009, the house combines contemporary style with beautiful original features. Stylish, spacious and well-appointed, each individually decorated room has a flat-screen TV. All rooms are en suite with either a spa-style jacuzzi bath or a walk-in shower. A delicious traditional Cumbrian breakfast is available every day, featuring the fresh, locally sourced produce. 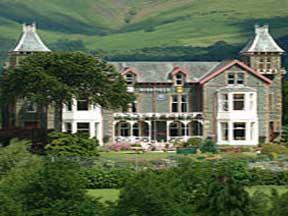 Ideally located for the Lakes, this family-run hotel boasts 2 master chefs offering interesting menus. All en suite rooms have been refurbished and provide everything the modern traveller needs. 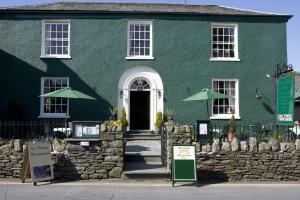 Set within a classic Victorian building, the small hotel boasts a central location in Grange over Sands, on the outskirts of the Cumbrian Lake District. There is ample parking for guests and the local train station is just 0.5 miles (0.8 km) away, with a direct line to Manchester. There is a variety of organised excursions available locally. Overlooking Ellerthwaite Park, this traditional Lakeland stone house is ideally located in Windermere, just 150 metres from the town centre and a short walk from Bowness. Offering a relaxed and friendly atmosphere, Autumn Leaves Guest House is set on a central yet peaceful road in the centre of the town. Boasting excellent transport links, this position provides the ideal base from which to discover the natural beauty of the Lake District. Whether you want to enjoy the numerous activities available in the surroundings, or simply relax, Amanda and her family welcome you to their home in Windermere. Set in the heart of the Lake District, this traditional Lakeland stone Victorian house is ideally located on a peaceful road just 2 minutes from the centre of Windermere village. The house has lovely views overlooking Ellethwaite Park and is ideally located for visits to Bowness on Windermere and the Lake. Many grades of walks can be started from the house the staff are happy to advise you on them and offer maps and guides to help. Locally organised tours can also be arranged for you, with collection and drop-off at the property. Although not a hotel, Broadlands Guest House is proud to have been awarded '3 AA Yellow Stars Highly Commended', in July 2009. This award is given to the top 10% of 3-star Guest Accommodation. Guests are offered free car park passes for use whilst staying at Broadlands. These can be used in all SLDC car parks in the area. With superb views of Lake Windermere and the fells of the Lake District, this charming family-run guest house has a beautiful, peaceful location, just south of Bowness. Surrounded by the breathtaking natural beauty and stunning scenery of the Lake District National Park, Brooklands Guest House is a 19th-century cottage, traditionally built from local Lakeland stone. 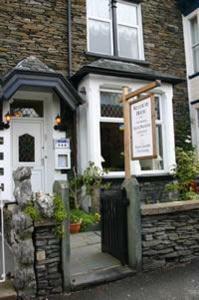 Looking out over Windermere, the guest house is a short walk from the shops and cafes of Bowness-on-Windermere. Each of the 5 en suite rooms, have TV, clock-radio alarms, central heating and tea/coffee. Free Wi-Fi is available throughout. A hearty traditional cooked English breakfast is available, as are packed lunches are available. For anglers, the guest house offers free fishing permits for the local waters. Free private parking is available on site. Just off junction 44 of the M6 motorway, only 2 miles (3.2 km) from Carlisle's city centre and within easy reach of the Lake District, the hotel offers comfortable, great-value rooms and free parking. The Premier Inn Carlisle (M6 Junction 44) is within easy reach of Hadrian's Wall and the Solway Firth. The hotel is also only one motorway junction from Gretna Green and the Gretna Gateway Outlet Village, a development of discount factory shops. The hotel has a 24-hour reception desk and all of the rooms have satellite TV and telephone/modem points. Some rooms can take 2 adults and up to 2 children (under 16 years). The 2 children also get a free full breakfast when accompanied by an adult eating a full breakfast. An all-you-can-eat buffet breakfast is available each morning and includes scrambled, fried, poached or boiled eggs, and pork or vegetarian sausages. There is also a wide continental selection. The on-site restaurant and bar offers good food and drink at reasonable prices. This traditional, family-owned 4 star guest house is ideally positioned just a short walk away from Bowness Bay and the picturesque shores of Lake Windermere, England's largest and perhaps most beautiful lake. Surrounded by magnificent scenery in the heart of the English Lake District, Bowness-on-Windermere is the ideal centre for touring the whole area. In minutes you can be sailing, exploring the lakeside footpaths and nearby fells, or visiting the homes of William Wordsworth, Ruskin, Coleridge and Beatrix Potter. Set in a Victorian country house, White Lodge has all the modern comforts expected of a traditional Lake District hotel. Whether preparing for a day out on the Lake District fells, visiting a tourist attraction, or relaxing during the evening, you can enjoy the warm and friendly atmosphere. Situated alongside Coniston Water, with lawns running down to the lake shore, this wonderful Lake District property presents itself as the perfect getaway from everyday stresses. The Lake District is a favourite spot for those who enjoy the outdoors, with activities including walking, climbing, water-skiing, sailing and cycling. Coniston Water, with the 'Old Man' towering above at 803 metres, offers a variety of lake activities, as well as excellent walking to suit all abilities. For those who prefer a more gentle pace, there are lake cruises and a wealth of historic houses to visit. In the evenings you can relax in the hotel's comfortable lounge, with views across the lawns and down to the lake, before sampling local cuisine in the hotel's Mountain View Restaurant.